It might come natural to think that this is a time of great transition for two of the industry’s most widely planted seed brands – FiberMax and Stoneville. The two are under new corporate ownership at BASF, after all. But company insiders say there’s much greater stability than you might expect. That will be welcome news for the swarms of U.S. farmers who planted varieties like FM 1830GLT and ST 4946GLB2 in 2018 – both of which ranked in the top 15 in acreage share among all upland varieties according to the USDA Varieties Planted report for the 2018 crop. As the most widely planted Stoneville variety in the BASF portfolio, ST 4946GLB2 has won farmer fans in every region of the Cotton Belt. 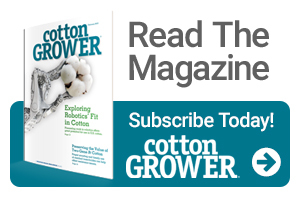 In fact, in 2015 it was the most widely planted cotton variety in the nation, with growers from Texas to Georgia taking advantage of the variety’s strong yield potential and hearty characteristics. Another Stoneville variety BASF representatives are raving about is ST 5471GLTP. It features the full BASF trait package – that’s GlyTol LibertyLink TwinLink Plus – as well as bacterial blight resistance. Nichols notes that that the smooth leaf variety has a wide footprint – from West Texas to the Mid-Atlantic and almost all points in between. For the FiberMax seed brand, FM 1830GLT led the way in 2018, gobbling up a sizable chunk of acreage in the coveted Southwest region. Nichols notes that disease packages are a key driver in the FiberMax seed breeding program – in addition to yield and fiber quality, of course. He notes that FM 2322GL displays all of these characteristics, and considers that variety to have the highest level of Verticillium wilt tolerance among the FiberMax portfolio. Another variety that checks all three of those boxes – yield, fiber quality and disease package – is FM 1911GLT. It also features root knot nematode tolerance. “It’s an early- to mid-maturity variety and a very high yielder, so high production land is where it’s going to fit really well,” Nichols says. This fall at BASF field trials, the company is showcasing pre-commercial varieties that feature the XtendFlex trait. 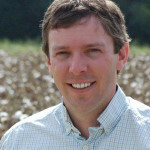 Nichols says it’s possible that the company could introduce Stoneville or FiberMax varieties featuring XtendFlex as early as 2019.